When it comes to streaming your favorite games, there are plenty of different services you can take advantage of. While there are plenty of different services to choose from, Mixer is Microsoft's app and you can use it right from your Xbox One. This means that you don't need any extra hardware in order to stream your new games. You can just set up Mixer and then go ahead and start broadcasting. In order to use Mixer from your console, you'll need to make sure that the app is connected to your Microsoft account. The only time this should be an issue is if you previously used Beam. If you're new to Mixer, then all you need to do is scroll over in the Xbox menu to the satellite icon and you'll be able to start broadcasting your gameplay. Beam was what Microsoft used to call Mixer before it was rebranded. You'll just need to link your Microsoft account to your Mixer account, and you only need to worry about this if you used to stream to Beam. Press the Xbox button on your controller to open the menu. 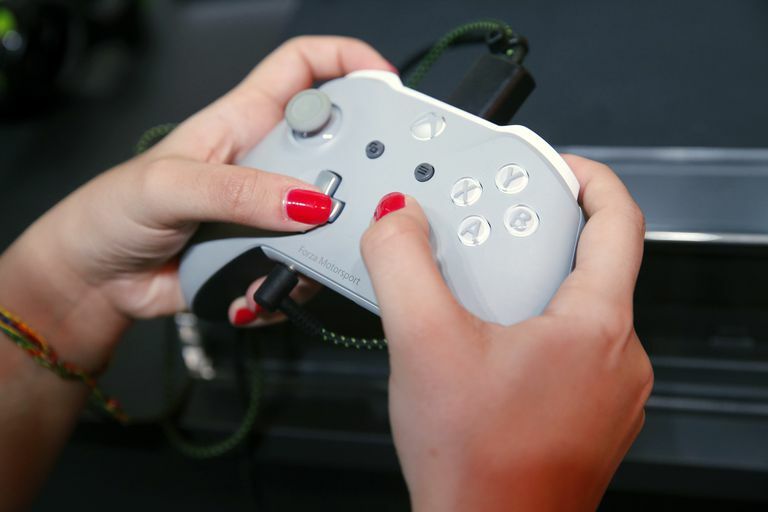 If you have just turned on your Xbox One, you may need to sign in to your account first. Scroll over to the broadcast button. The Broadcast icon looks like a tiny satellite dish on the top menu. Change the name of your broadcast, and make any other settings changes before you start to stream. This is where you can turn party chat on or off, and switch up where your camera overlay is located. Keep in mind camera overlays only matter if you have connected a camera to your Xbox One. Press the B button to return to the main Broadcast menu. Select Start Broadcast to start streaming your gameplay. For the most part, setting up your stream should only take a few minutes. Once your settings are where you want them, you don't need to worry about tweaking them for every broadcast. However, you should change the name of your broadcast when you switch up to a new game. The options for your stream will also let you add video using your Kinect, turn the microphone on or off, and adjust chat settings. If you don't have a Kinect, then you'll need to remember to connect a mic to your headset. In general, even if you have a Kinect, you'll get better audio quality when using a mic. If you have an old Xbox One controller, this may mean that you need to pick up an adaptor first. It's easy to start or stop your broadcast whenever you want. This can be especially handy if you run into connectivity issues when streaming. For the best quality broadcast, you'll need a solid internet connection. If you have issues with the Wi-Fi in your house, try a hard connection with an ethernet cable to the back of your console.